Softesse® is so far the most advanced product available on the market. 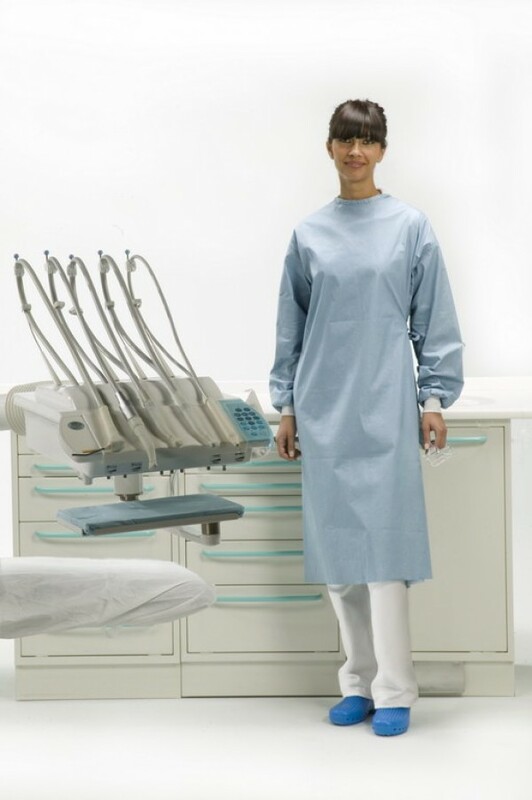 High water repellency, combined with an exceptional level of comfort, make this gown the ideal choice for long work days and for treating patients at risk. Its main features are: Velcro closure, cotton cuff, double internal and external side ties, surgical fold and 2 hand towels inserted inside.